One may have noticed there has been an abundance of ads from TV to billboards for Medicare Advantage plans recently. This signals that Medicare Open Enrollment is upon us! From October 15th through December 7th, all Medicare beneficiaries have the opportunity to decide what type of healthcare coverage they want for 2019. For many, this can be a daunting task given that there are over 25 (yes, 25!) Medicare Advantage (MA) plans and prescription drug plans to choose from in Philadelphia alone. But having some information and knowing where to get help can make this process a little easier to handle. What exactly is Medicare Open Enrollment? 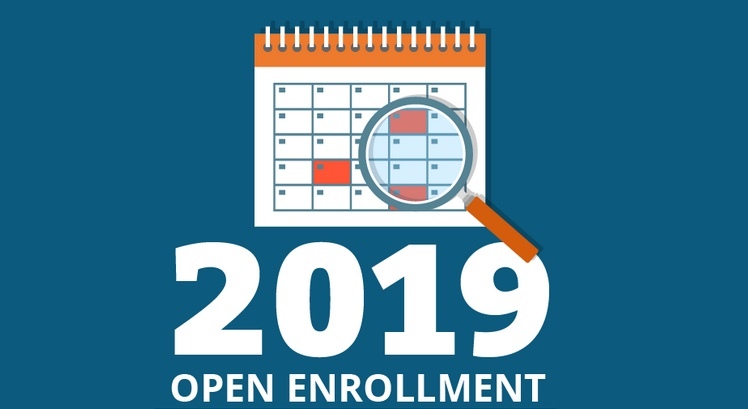 The Open Enrollment period is the time when beneficiaries can decide if they are going to join a Medicare prescription drug plan, if they had not done so during their initial enrollment into Medicare. They can change their drug plan too. Beneficiaries can also change or enroll into a Medicare Advantage plan. These are private plans that offer all the services that Original Medicare A and B provide (i.e. hospital services, doctor visits), but might also include additional benefits like vision and dental services. Most often these plans have prescription coverage included. But do not be lured by marketing. It is important to understand the advantages and disadvantages of Original Medicare compared to a private Medicare Advantage plan. Any plan changes made during Open Enrollment take effect January 1. Cost. Does the plan have a monthly premium? Is there a deductible to pay for health services or for prescription coverage? This defines what a member would have to pay before the plan starts paying for the service. What are the co-pays for services that a beneficiary might utilize most often, such as seeing a primary doctor, a specialist, lab work, physical therapy or durable medical equipment? Most Medicare beneficiaries are on a fixed income. Even though one cannot always predict future health care costs it is worth considering what expenses will accumulate from the services one already uses. Coverage. When deciding on drug coverage consider if all the prescriptions are on the formulary. Does the plan require a prior authorization for a medication before it is dispensed? If considering a Medicare Advantage (MA) plan, what preventative dental or vision services are offered? What about more comprehensive dental services such as cavity fillings? Some MA plans also offer wellness benefits like discount gym memberships or nutritional counseling too. Convenience. When evaluating MA plans, beneficiaries should ensure that their health providers are in the plan’s network. MA plans have a group of contracted providers and it is in the best interest to stay within that network to avoid higher costs or potentially risk not having that service covered. For beneficiaries looking for additional guidance, there is help! Beneficiaries can contact CARIE, the Center for Advocacy for the Rights and Interests of the Elderly, at 215-545-5728. Our advocates are available to help answer questions related to Medicare, Open Enrollment and programs that help pay for Medicare’s out-of-pocket costs. Beneficiaries can also contact APPRISE, Pennsylvania’s Medicare health care counseling program at 1-800-783-7067. Medicare.gov also offers tools to help consumers compare coverage options and plans. These programs are available free of charge with the goal of helping beneficiaries make informed choices for their future healthcare coverage.